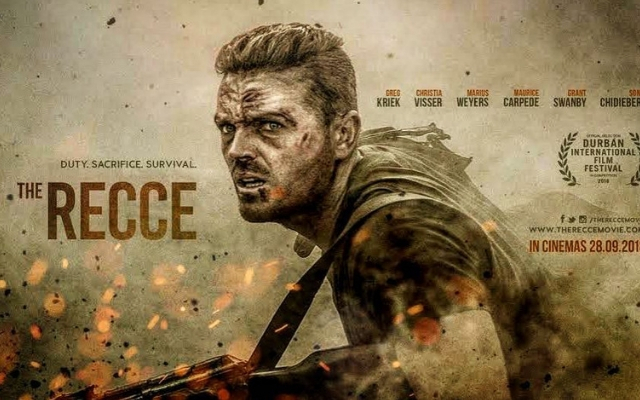 The Recce wins Best Foreign Drama film prize in US - SABC News - Breaking news, special reports, world, business, sport coverage of all South African current events. Africa's news leader. The movie's lead actor, Greg Kriek from Cape Town, who nowadays resides in America, has accepted the coveted award at the 10th hosting of the awards' ceremony in Los Angeles, California. The South African war drama from last year, The Recce (reck-key), has won the Best Foreign Drama film prize at the annual Idyllwild International Film Festival in the U.S. The movie’s lead actor, Greg Kriek from Cape Town, who nowadays resides in America, has accepted the coveted award at the 10th hosting of the awards’ ceremony in Los Angeles, California. The flick, set against the Angolan Bush War, tells the story of a reconnaissance soldier who’s wrongly presumed dead behind enemy lines and who is on a tough survival mission to return home safely to his grieving wife and family. Last year, The Recce, was nominated for Poland’s prestigious Camerimage Awards for Debut Feature Film: Cinematography. The Cape Town producer, “Man Makes a Picture”, says those who missed the much talked about picture last year on the national cinema circuit, should watch out for its release for home use shortly. This entry was posted on 19 Mar 2019,12:24PM at 12:24 PM and is filed under Lifestyle, Homepage Featured Story Slider. You can follow any responses to this entry through the RSS 2.0 feed. Both comments and pings are currently closed.